I'm going to make these happen. No, they don't do any favors for my hips or the fact that people think I'm 18. Who cares. 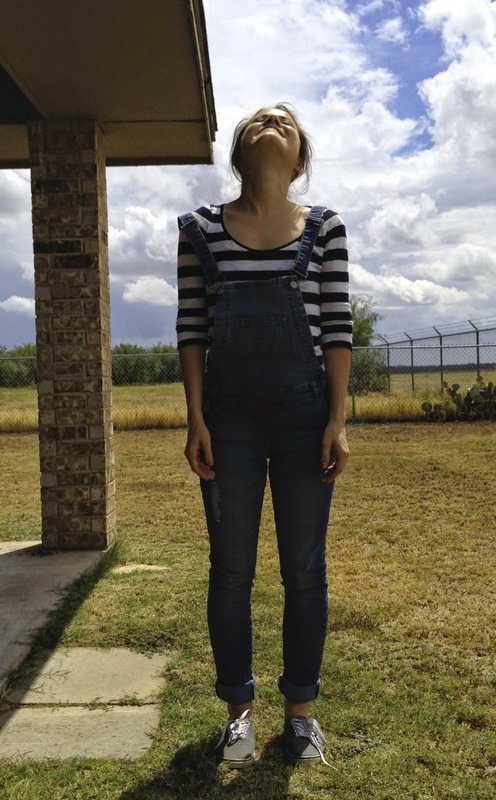 Kansas girls were meant to wear overalls, regardless of how (un)flattering they may be. I'm holding onto my roots hard here my friends. In other news, Milo has learned how to say "no". I'd be scared if it wasn't so cute. But he shapes his little mouth into a perfect little O and says "nooooo" all nasally when he's displeased with the situation. He's picking up words like crazy right now! I'm in love.